Change and runny noses are the only constants in parenting. Runny noses I can handle. Change? Not so much. I thrive on sameness. Routine makes me happy. I like to plan for everything, and I prefer everything to have a plan. I might be in the wrong profession. Awesome conversation starters from Sweeping Up Joy. See below to snag them. 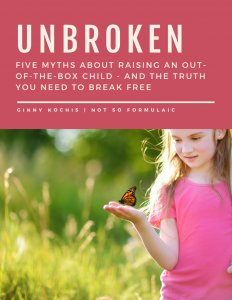 Truthfully, consistency in motherhood isn’t a bad thing. My favored mode provides a steady base, a firm foundation where my children can thrive. The problem occurs when my expectations for sameness get in the way of their personalities. Because I know how I would react in certain situations, I expect the same from them. As I’m sure you know, neither life nor motherhood works that way. The incongruity between expectation and reality has become strikingly evident this school year. I’ve created a pattern where we are doing the same things we’ve always done, just because we’ve always done them. Some things flourish under the auspices of tradition. Like my Catholic faith. The British Empire. The original Star Wars Trilogy. 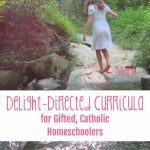 Homeschooling twice exceptional gifted kids? We’ve been fighting a lot. School has lacked luster. And for the most part, the girls are pretty unhappy. It feels like I’ve forgotten how to love them, and in truth, I probably have. When I pulled our oldest out of school five years ago, it was because the school environment didn’t love her. I could accommodate her needs, encourage her gifts, and minimize her struggles in a way traditional schooling could not. We carefully reviewed curriculum options and settled on a classical hybrid program. It worked beautifully until it didn’t. Those are indeed valid reasons. But I’ve also resisted making any sort of change because of my own bullheadedness. I don’t like to change things midcourse. It gives me a huge dose of the heebie-jeebies. Mrs. Kochis, she ran from the classroom today. Mrs. Kochis, your daughter is refusing to participate in her afternoon classes. I have. I am. I will. But what I need to do first is honor my children – their personalities, their temperaments, and their excitabilities. While I have always loved my children without question, I am re-learning how to love them. Where does our home life need to go? What do they think about the choices we’re making? They are involved in this effort, too, and I owe it to them to know how they feel. Of course, I listen to them all the time, but how often am I really taking in what they are telling me? Is a sassy attitude just a sassy attitude? Or is it an indication that she needs more time with me? 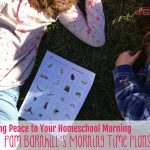 We homeschool so we have the freedom to do things the way we want to do them. If the kids aren’t up for completing their co-op workbooks, they don’t have to complete them. What matters is whether or not they are learning. The most authentic learning comes from experience, not filling in the blanks. We go to the park. We read books. We write together. 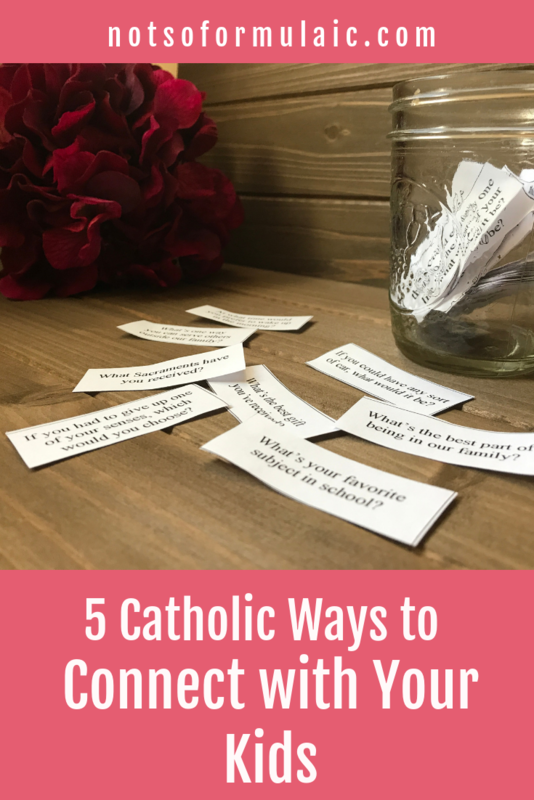 I make sure we are actively engaging one another, not just rushing from one task to the next. That’s kind of why I started homeschooling in the first place. I know I said earlier that change and runny noses are the only constants in parenting. But there’s definitely one more, and that’s love. Learning how to love them is the smartest thing I’ve ever done. That’s the kind of change I can get behind. 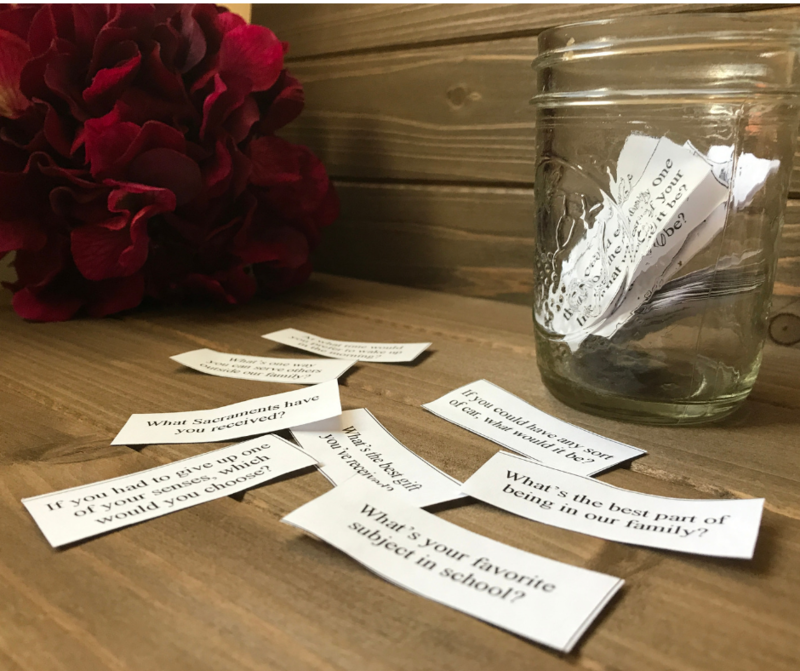 Looking for more ideas to connect with your children, like the conversation starters featured in the images above? 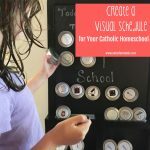 Check out this year’s Catholic Mom Bundle: 23 fantastic products from some amazing Catholic business owners – $246 worth of resources for only $25. And with a 30-day money back guarantee, you really can’t go wrong. Go check it out! 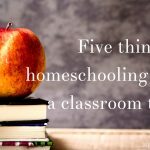 These are great reminders – even if a parent isn’t homeschooling! 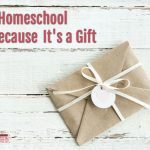 I pray that this is just a temporary slump for you guys – I’ve heard this time of the homeschooling year can be brutal all around for many homeschooling families. 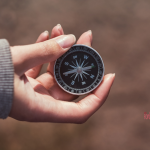 But, being able to recognize some shift is needed already puts you on the offensive – you are able to begin brainstorming ways out of this situation with a slightly clearer, less-defensive, outlook! Thanks, Anni. I’m feeling kinda blah, about everything. I think I just need a vacation! I hate change as well. And I am dealing with a VERY difficult child over here. The past few days I’ve been trying to concentrate on filling her emotional tank, on not losing my temper with her no matter how awful she is, on commiserating with her every (SO MANY) whine, on giving lots of affirmation, affection, and hugs. So well written. Excellent reflections. Thank you for sharing them!